From the Trenches for March: Chicago panel discusses documentary on the media, "Shadows of Liberty"
From the Trenches for November: Kari Lydersen on "Mayor 1%: Rahm Emanuel and the Rise of Chicago's 99%"
The Internationalist No. 39 is out! A new issue of The Internationalist is out! Station, New York, NY 10008. 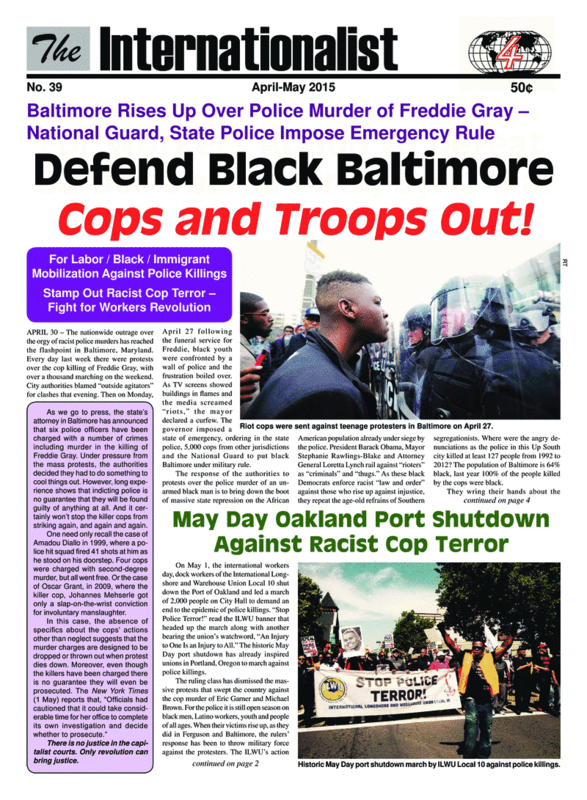 * Defend Black Baltimore: Cops and Troops Out! * Defend Muslims in Europe Against Racist "War on Terror" Backlash!